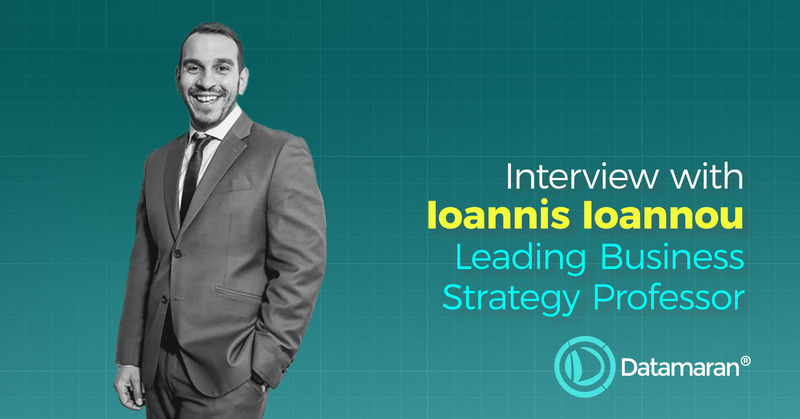 We caught up with Ioannis Ioannou, Associate Professor of Strategy and Entrepreneurship at London Business School to talk about his experience of using Datamaran for research purposes, and why he thinks it is becoming a “necessary technology” to have for businesses who are serious and genuine about their commitment to managing non-financial issues with added resiliency. His work is focused around understanding what extent modern businesses contribute towards a better future. He has been working with Datamaran to delve deeper into understanding why companies disclose, and what topics they choose to disclose on. Ioannis explained that in order to do this manually, you would have to read thousands, if not tens of thousands of reports and try to extract conclusions. With Datamaran, the AI technology of Datamaran will perform that task for him. Datamaran reads the reports and reveals the underlying topics, quantifying what is in the reports. “Datamaran allow us to do the kind of research that human nature wouldn’t allow you to do, because it’s impossible”. Platforms like Datamaran are not only ‘nice to have’, but are increasingly becoming necessary to have for businesses that are serious and genuine about their commitment towards sustainability.